It is true that a’ woman’s hair is her crowning glory’ and the majority of women will admit that their hair is important to them. Most of the women are very cautious about the different hair treatments for damaged hair and they are also aware that how the hair is styled in such a way which accentuates their features. Especially, When the seasons change to fall, similarly damaged hair feels the transition too. The onset of fall brings a whole set of potentially damaging effects to the hair. Well, you can try various hair treatments for your damaged hair, but what if you could stop the damage before it becomes more serious? As you know that hair is very sensitive to the moisture levels, which is why during humid times, hair is less flexible and prone to breakage. Not only that too low moisture can also make the hair more susceptible to flyaways. 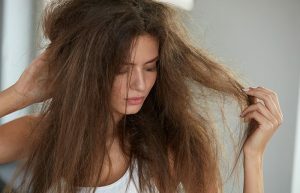 By using an organic shampoo and conditioner, you can combat this. When you shampoo, you should keep in mind that hair swells when wet. Freshly washed tresses are very sensitive and should be handled with utmost care. Therefore, you shouldn’t rub damaged hair vigorously with the towel. The best thing would be to cover the hair with a towel turban, then gently applying for a leave-in conditioner with your fingers and comb the damp hair. A shortcut can be the quickest way to restore the damaged hair, but if you aren’t ready/comfortable, then a trim every 4 to 5 weeks can be useful. For this, a good hairstylist should be familiarized with the nuances of your hair type and help you in keeping it in shape. Using the best organic finishing hair styling product is essential to restore damaged or frizzy hair. A careful selection of what will be the topcoat for your hair can make a great difference in the overall look and feel. Elita Hair is known to provide the best hair treatment/products for the damaged hair. We believe that beautiful hair is essential for any woman, that is why we are very dedicated in providing you the best and largest selection of high-quality natural hair products at cost-effective prices.